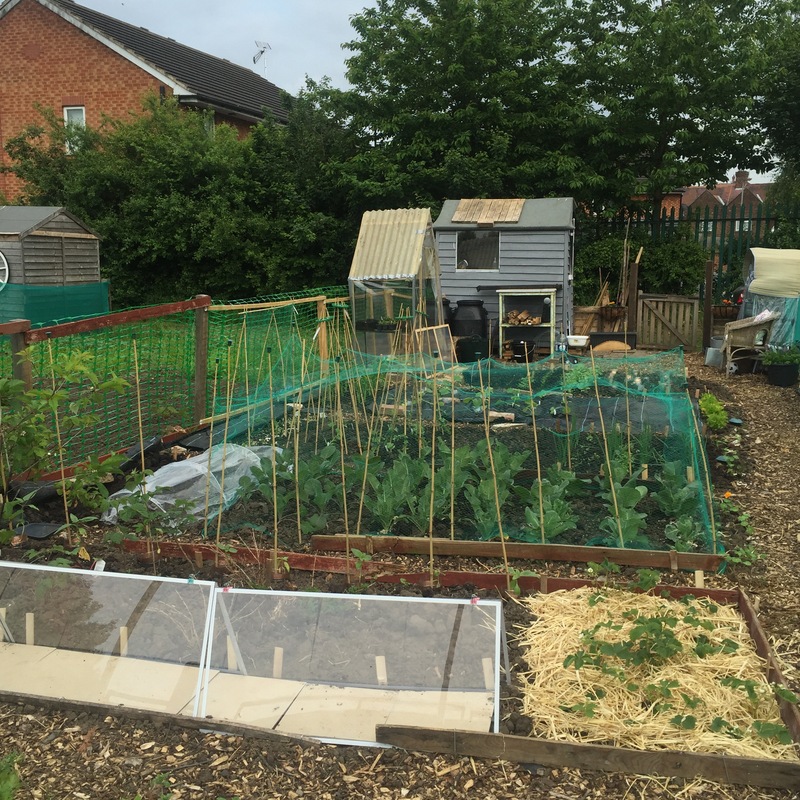 I can’t believe I’ve only had my allotment for seven weeks! I am staggered by how much I’ve achieved already. In fact, almost every spot of earth is full right now! I’m trying out all sorts of things, fruits, vegetables, salads, flowers, it’s all going on! I should be able to actually eat something within the next week, all I’ve had so far was a radish the size of a five pence piece when I was thinning them out! 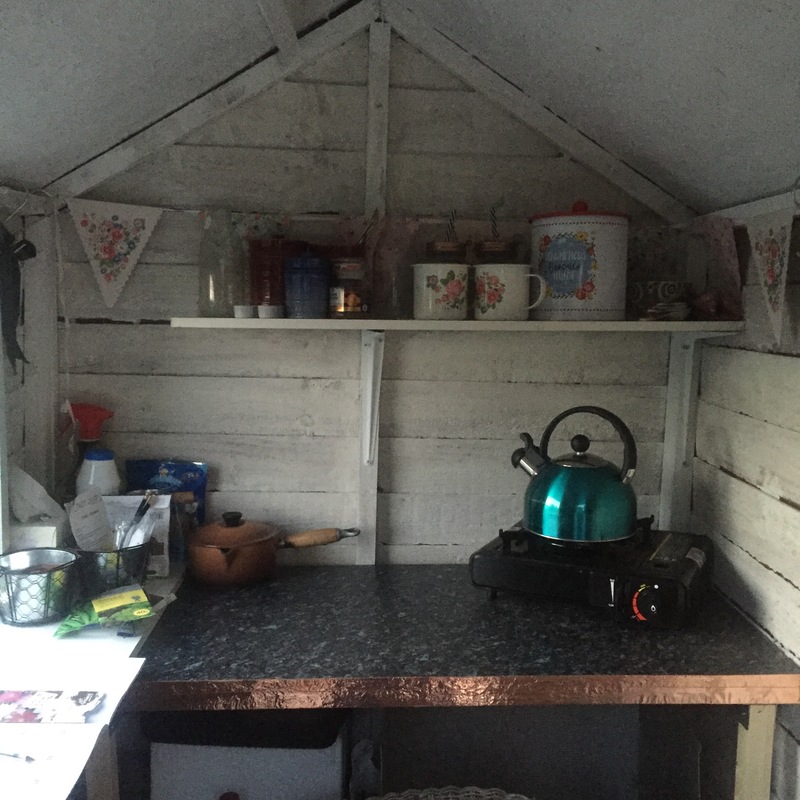 I got a little carried away with my shed, but it’s a lovely space, Darcy has a little bed in there so he can hang out and supervise and I put tiles down on the floor so it’s always cool for him. I’ve got everything I need, when I eventually get the chickens I’m planning on having fresh eggs for breakfast here every day. 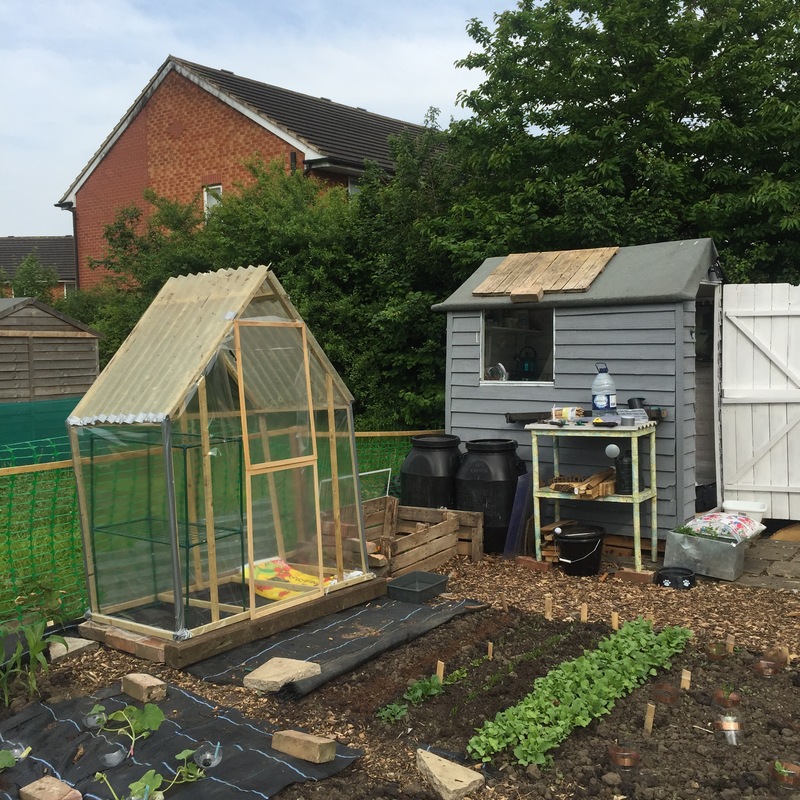 I even had a go at building my own greenhouse, they didn’t make one in the size I wanted so I cobbled one together with my ever developing DIY skills! It’ll do the job for now, anyway! 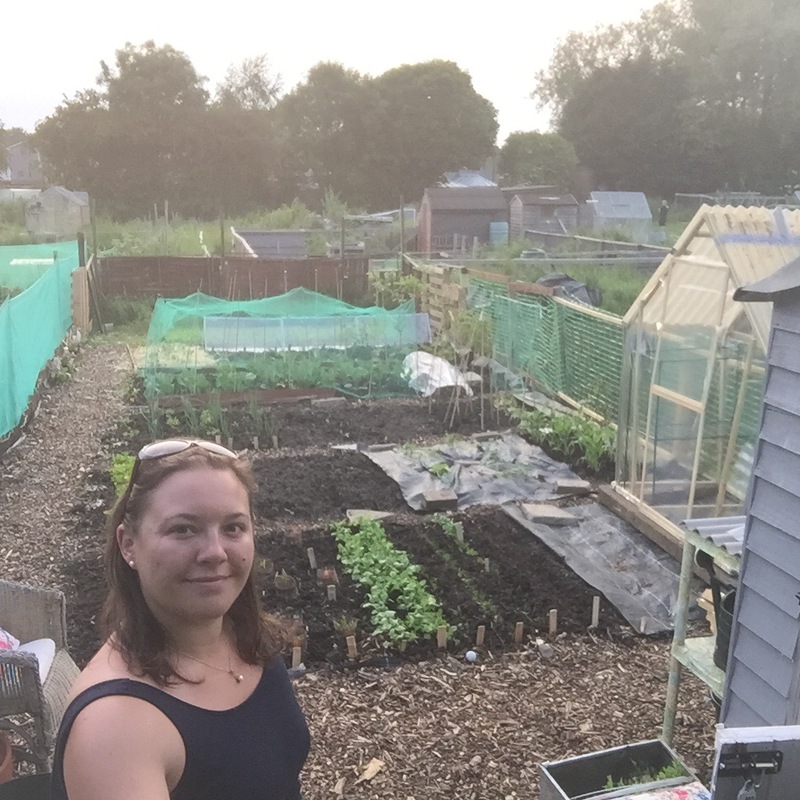 Stay tuned for some recipes using the produce I manage to grow, I’ve gone for loads of radishes as they’re so quick to grow so 101 things to do with a radish may have to start soon! Oh and if you have any hints and tips for how to fight back against the slugs with a small curious dog running around do let me know! Ok, I admit it, I’ve gone full on “The Good Life” recently. 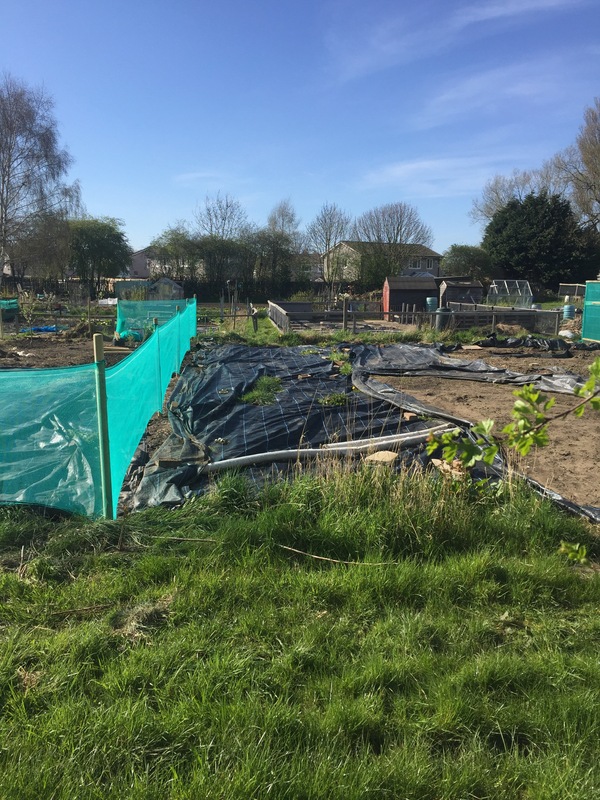 Following on from learning all about Beekeeping I volunteered to help clear ground for an apiary allotment site near my house and found out that there was a small starter plot up for grabs. Well, grab it I did! This is what I started with. About 5m x 16m of weed suppressed ground. I have spent the last few weeks digging and fencing and working away. There was an awful lot of digging. 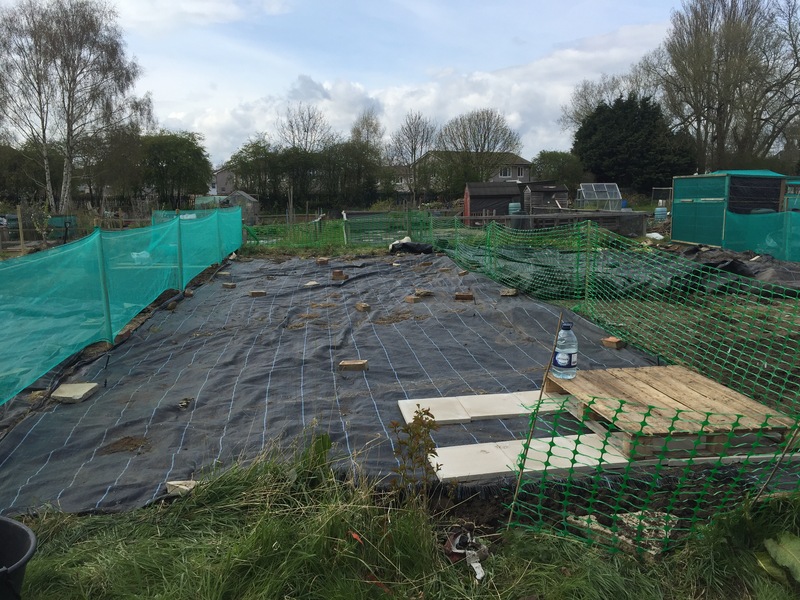 The ground didn’t have any weeds, which was a blessing, but it did have a load of crushed plastic pots, a shovel, a rake, a fork, a pickaxe and a hammer all rotting away, along with what might once have been a green house base? Anyway, it all needed clearing and levelling and the clay soil enriching. 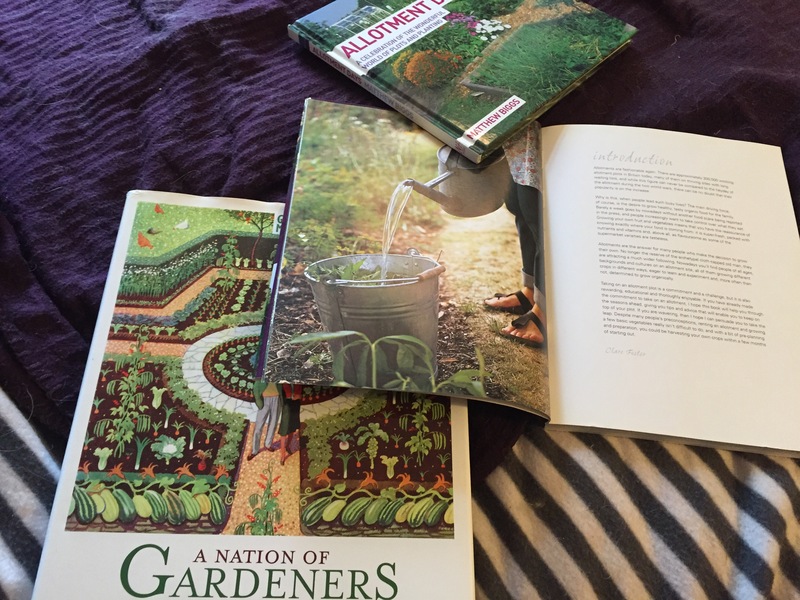 I’ve also developed a naughty habit of buying the Amazon 1p plus postage books on gardening. In fact I’m awaiting delivery of a few more that caught my eye this week! This is where I’m up to: fences built, beds marked out and paths laid. 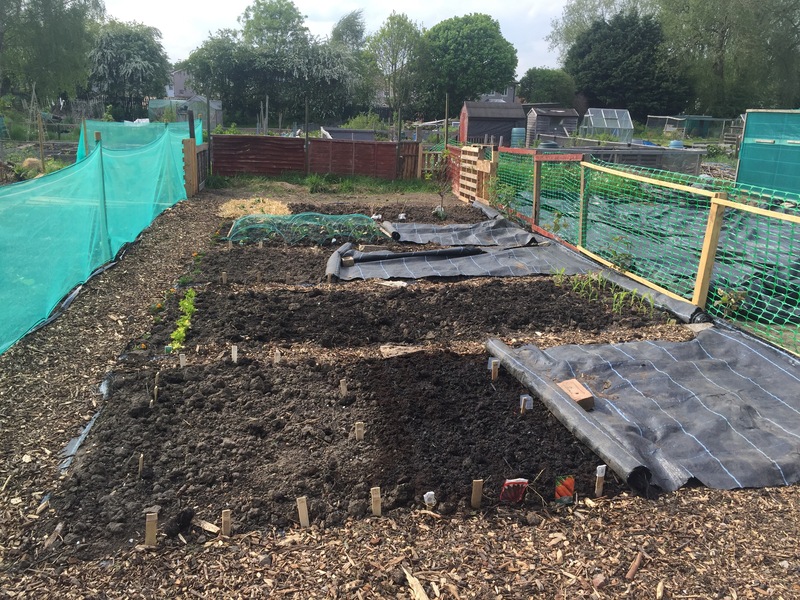 I’ve crops in the ground and I’m preparing to build a chicken run at the far end so I can have fresh eggs too! More on that and the epic shed move soon!